An alternative route for the supply of raw materials from Azerbaijan to Tajikistan for the needs of the Tajik Aluminum Company (TALKO) has been established, the Tajik embassy in Azerbaijan told Trend on October 5. This route implies deliveries from Azerbaijan through Russia, Kazakhstan and Uzbekistan to Tajikistan and thus bypasses Turkmenistan. 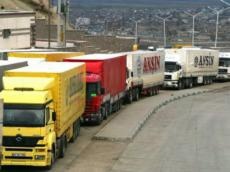 In recent times, transit through Turkmenistan has been closed, and trucks with Azerbaijani raw materials have been idle on the Iranian-Turkmen border for about 50 days, a source at TALKO told Trend earlier, adding that the parties are looking for alternative ways to supply raw materials from Baku through the ports of Aktau and Kuryk in Kazakhstan. This information was confirmed at the port of Aktau, a representative of which said that this issue is being studied between Tajikistan and Kazakhstan. “On this issue, there was an appeal from TALCO to KTZ Express (transportation operator) on the provision of tariffs and confirmation of the possibility of transshipment of alumina. At the moment, we are waiting for information on its detailed description and scope to determine the possibility of its processing in the port of Aktau,” the port’s representative said. On the other hand, according to the source at TALKO, there are also problems with the supply of petroleum coke from Turkmenistan to Tajikistan, and therefore the company is looking for additional sources of supply, in particular, from Azerbaijan. Earlier, the Minister of Economic Development and Trade of Tajikistan, Nematullo Hikmatullozoda, within the framework of the presentation of the country's capabilities at the Azerbaijani-Tajik business meeting, said that Tajikistan is very interested in close cooperation with Azerbaijan in the production and further export of aluminum. He also noted that an agreement was reached between the Azerbaijani state company SOCAR and TALCO on the import of oil coke from Azerbaijan. SOCAR told Trend that there is a memorandum of understanding, which implies joint study of the possibilities of cooperation in a particular area, but supplies have not yet been made. “At the moment, SOCAR does not supply such petroleum products as oil coke to Tajikistan, which, however, does not exclude the possibility of their supply in the future,” said Ibrahim Akhmadov, the head of the press service of the State Oil Company. Returning to the topic of the transit of alumina, it should be noted that neither Talco nor the Embassy of Tajikistan knows the reasons for the creation of obstacles by the Turkmen side. According to the latest information, which, however, is not officially confirmed, Ashgabat has already resumed transit to Tajikistan. As the representative of the Embassy of Tajikistan in Baku said, the commonality and mutual understanding of the peoples and countries of the region should help solve this problem as soon as possible and prevent the occurrence of such obstacles to normal trade and economic relations in the future. The main part of the volume of trade between Tajikistan and Azerbaijan falls for the production of the State Unitary Enterprise TALKO, which is transported via the Azerbaijan sea and railway routes to Europe. Tajikistan buys alumina, coke and other raw materials in Azerbaijan. Diplomatic relations between Tajikistan and Azerbaijan were established on May 29, 1992. The legal base of cooperation is fixed by more than 40 agreements in the trade and economic, banking, tax, cultural and investment spheres. The priority areas of economic cooperation between the countries are non-ferrous metallurgy, the agro-industrial complex, energy, light industry, transport and communications.